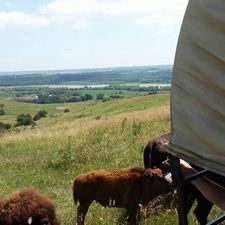 A view from the top of the hill in the Bison pasture. 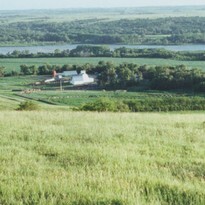 Beautiful green and lush pastures on the ranch. 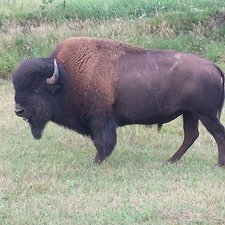 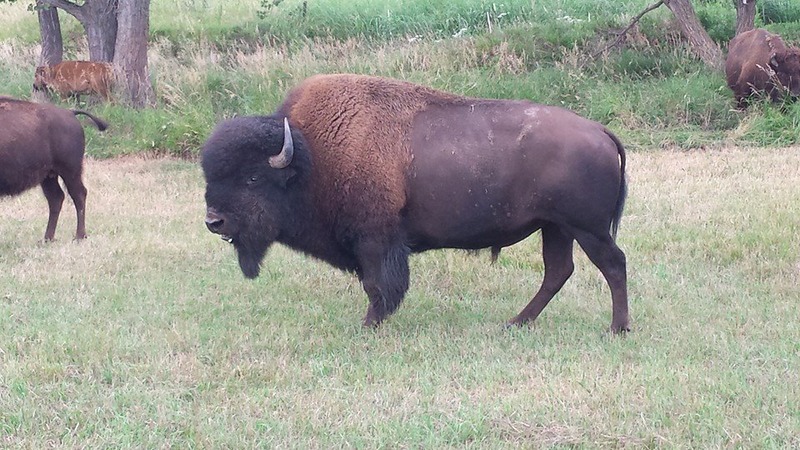 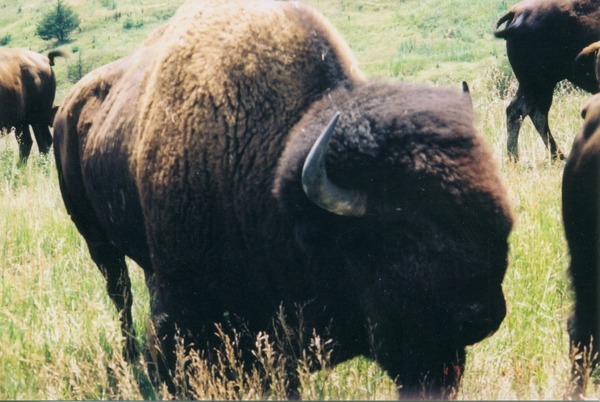 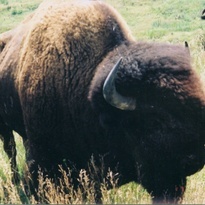 Big buffalo bull in pasture, weighing approximately 2000 pounds. 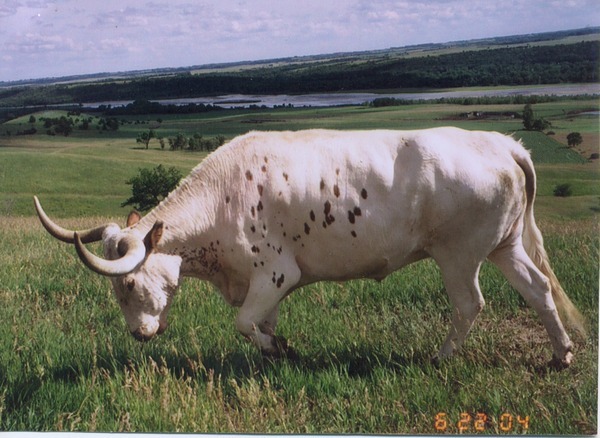 Boomer the Long-Horn steer who lives with the buffalo. 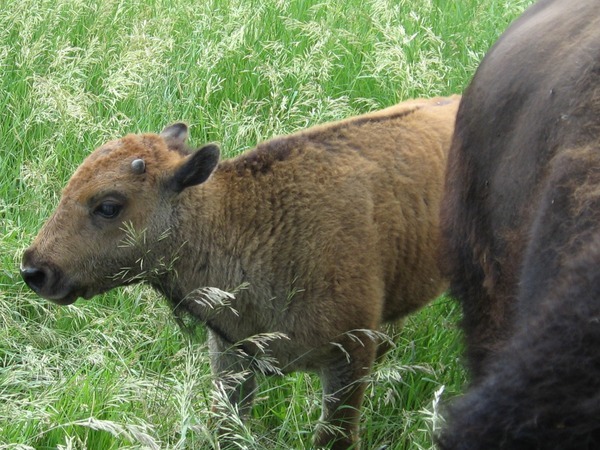 Buffalo calf with it’s mother. 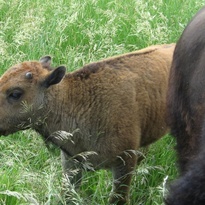 Buffalo cow nursing her calf. 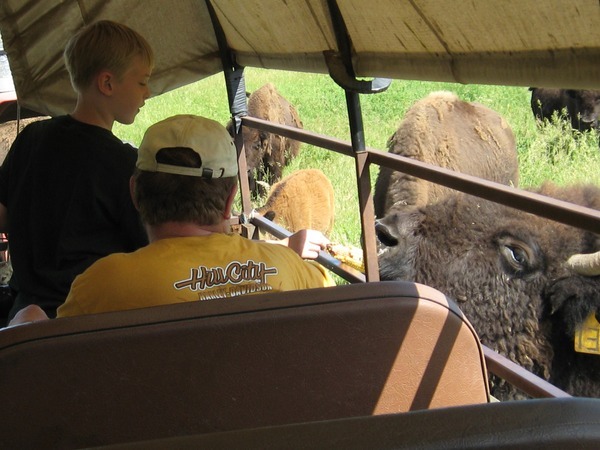 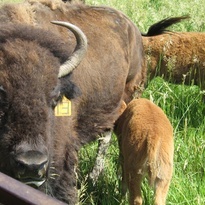 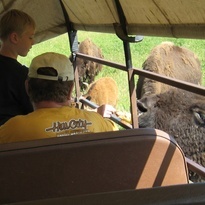 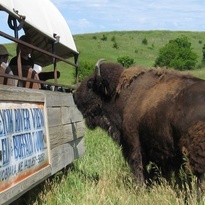 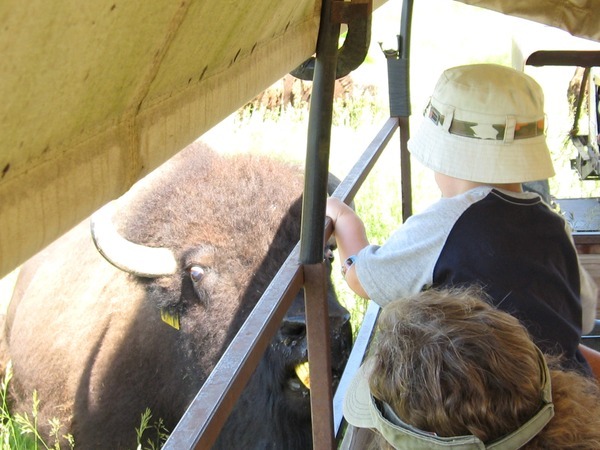 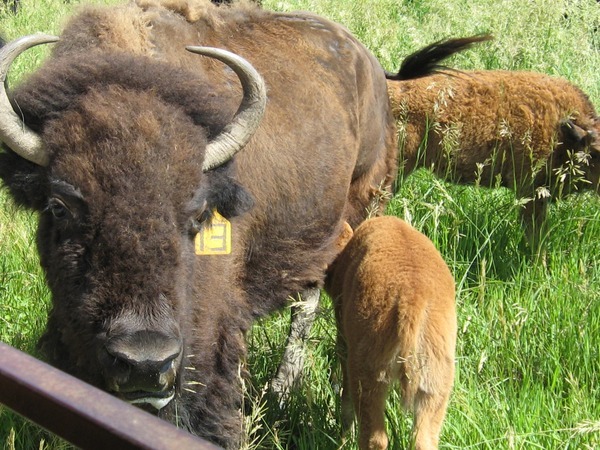 Buffalo getting treats of ear corn from tourists on the covered wagon. 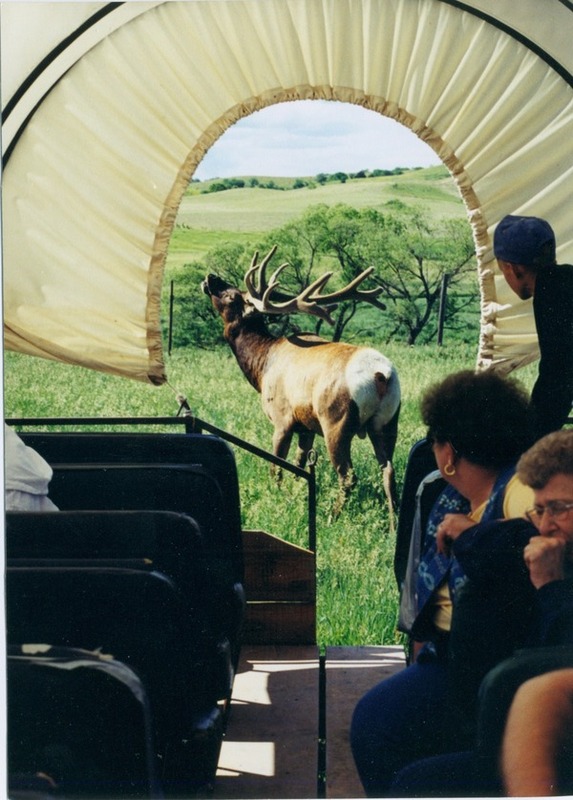 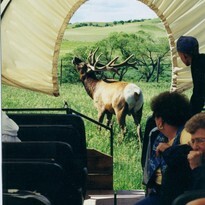 Bull elk bugling at the back end of the covered wagon. 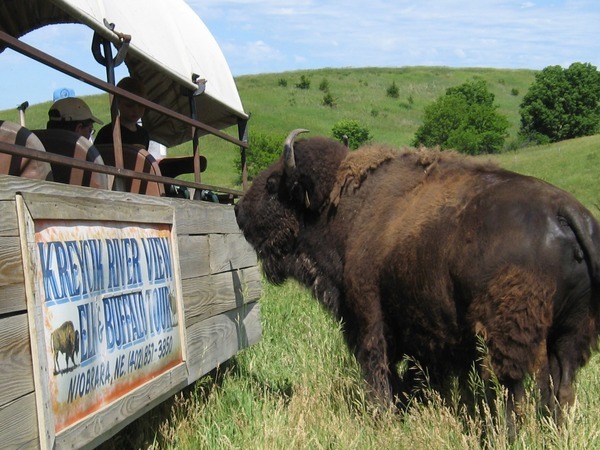 Cow buffalo approaching covered wagon ready for her treat from tourists. 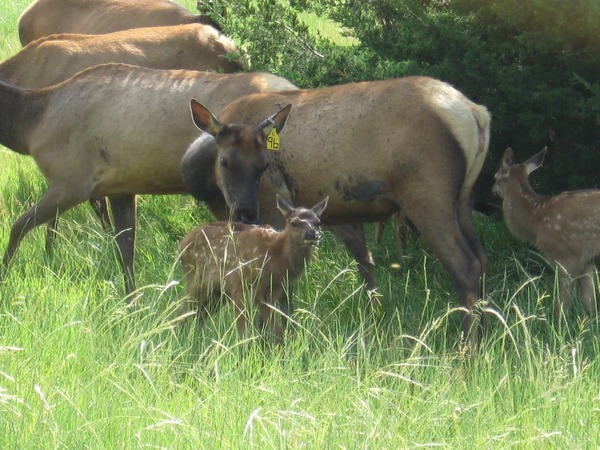 Cow elk tending to her new spring calf. 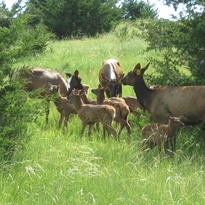 Cow elk watching over a group of elk calves. 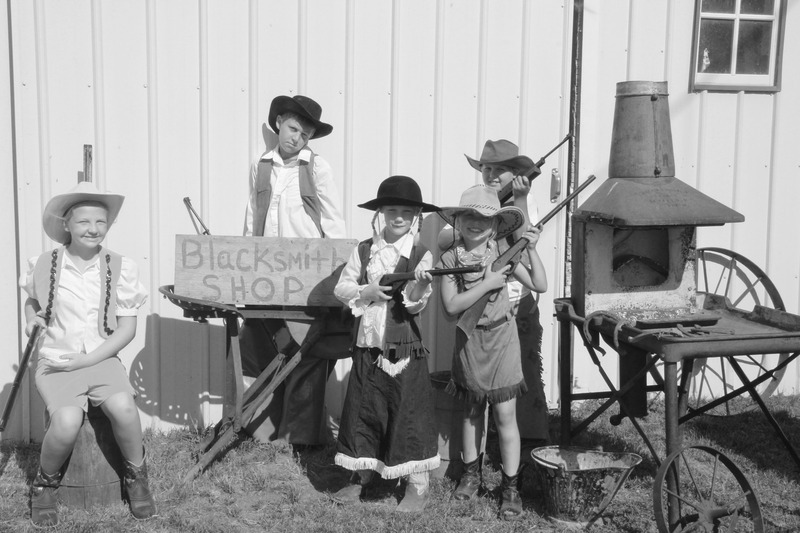 They are great babysitters. 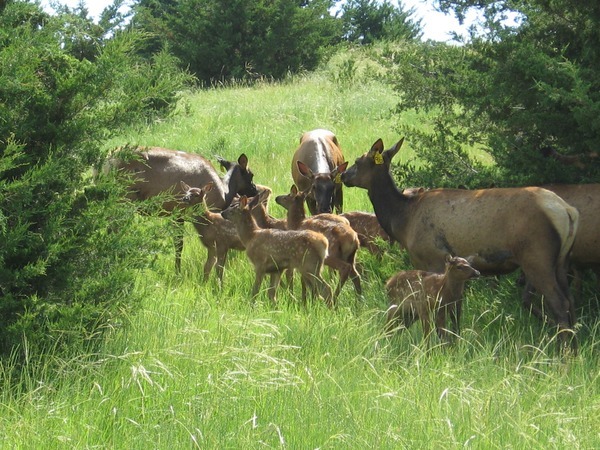 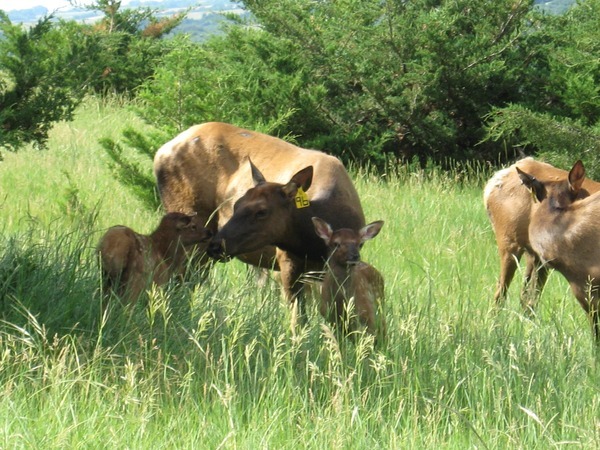 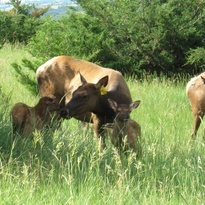 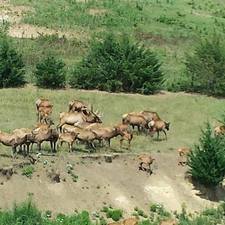 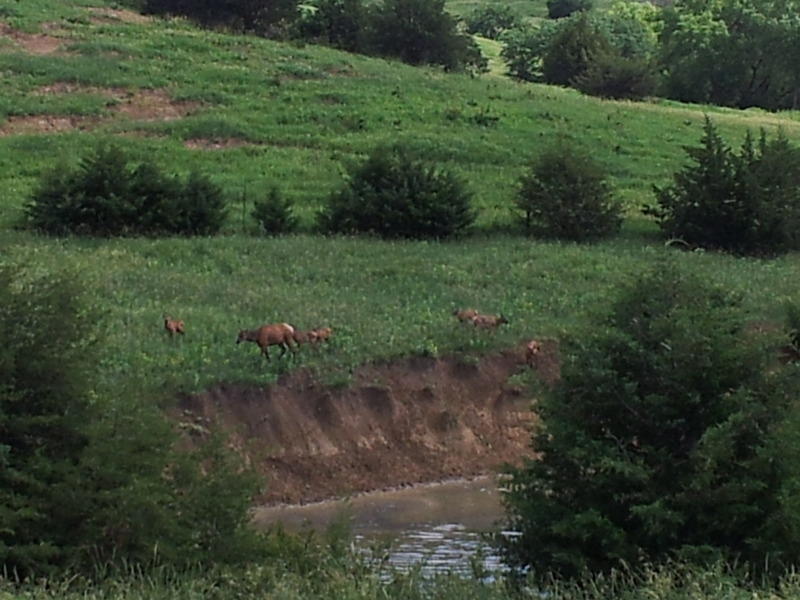 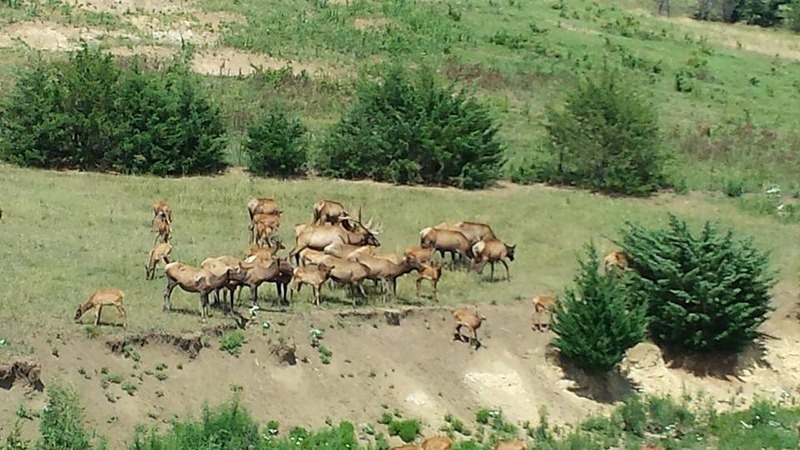 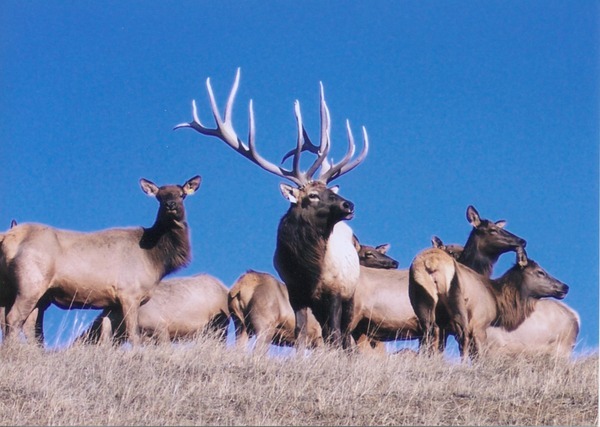 Cow elk with new spring calves. 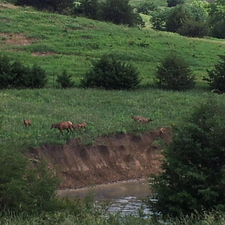 Elk cows and calves coming out of the water. 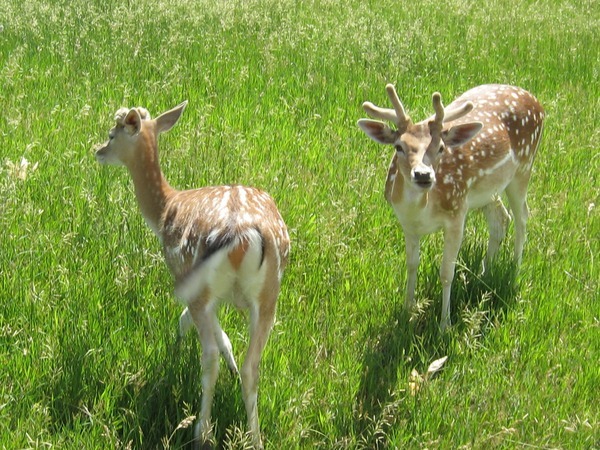 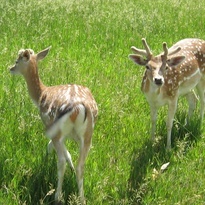 Fallow deer buck and doe. 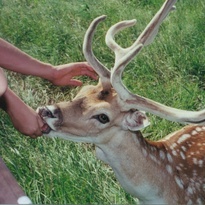 Fallow deer buck in velvet stage. 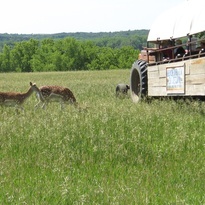 Fallow deer close by the covered wagon. 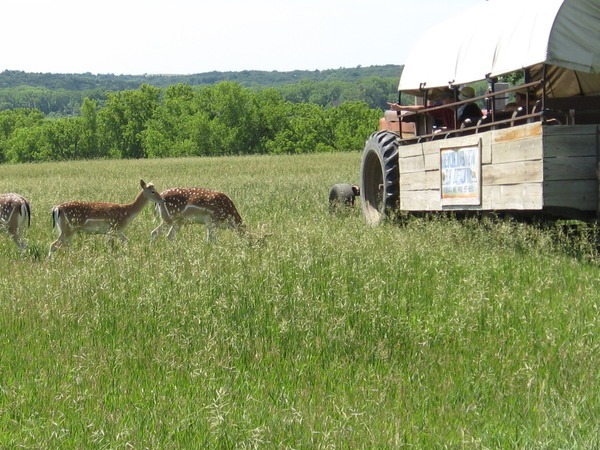 Fallow deer eating from the side of the covered wagon. 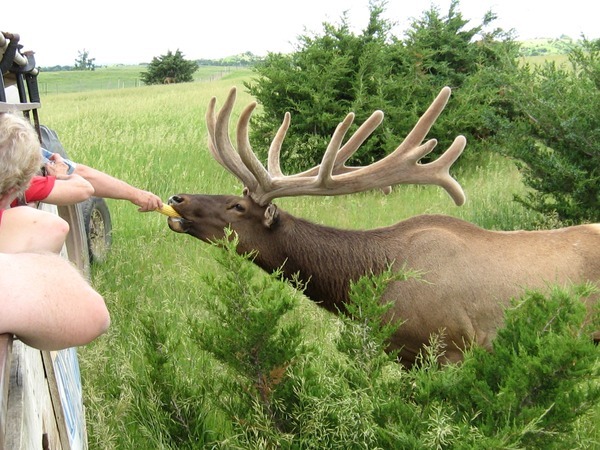 Too bad we don’t have that friendly little critter anymore. 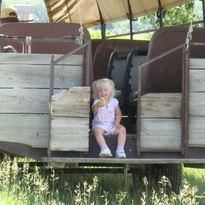 Granddaughter Josilyn, holding out an ear of corn, hoping the skittish fallow deer will want it. 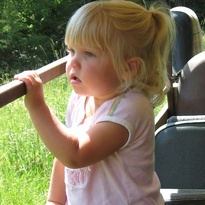 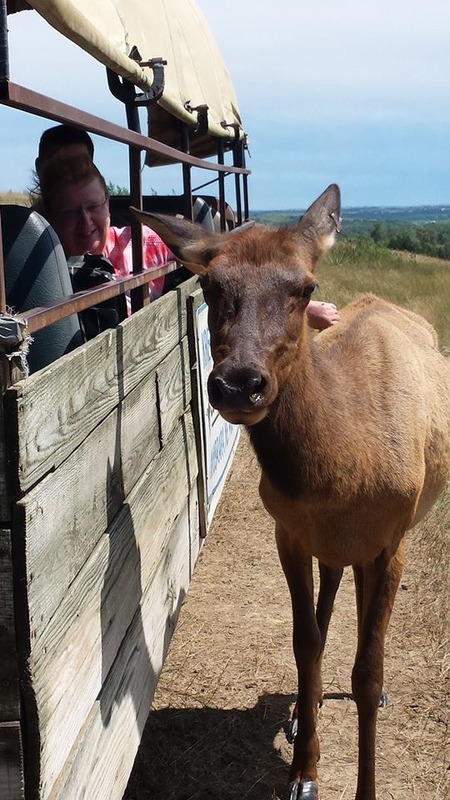 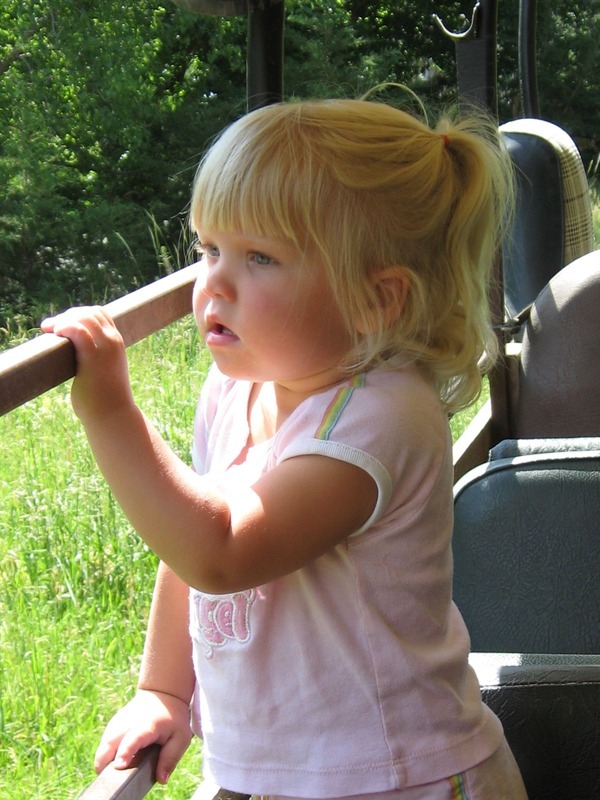 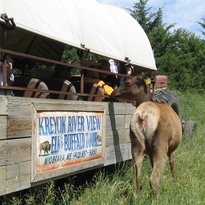 Granddaughter, Josilyn never gets tired of riding along on her Grandpa Kreycik’s tour of his elk and buffalo. 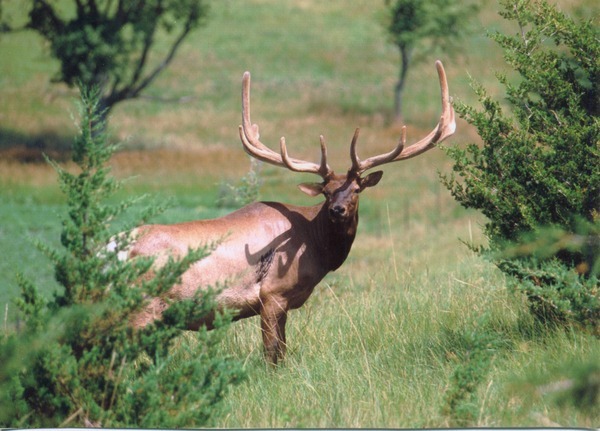 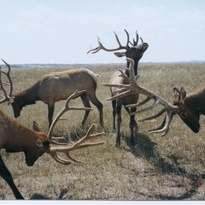 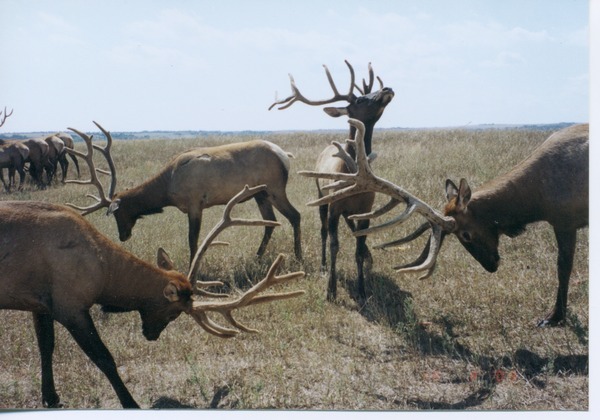 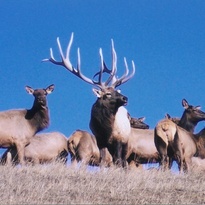 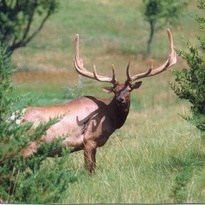 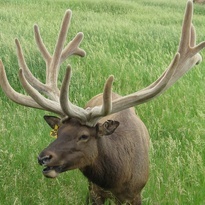 Herd bull elk with his antlers in the velvet stage. 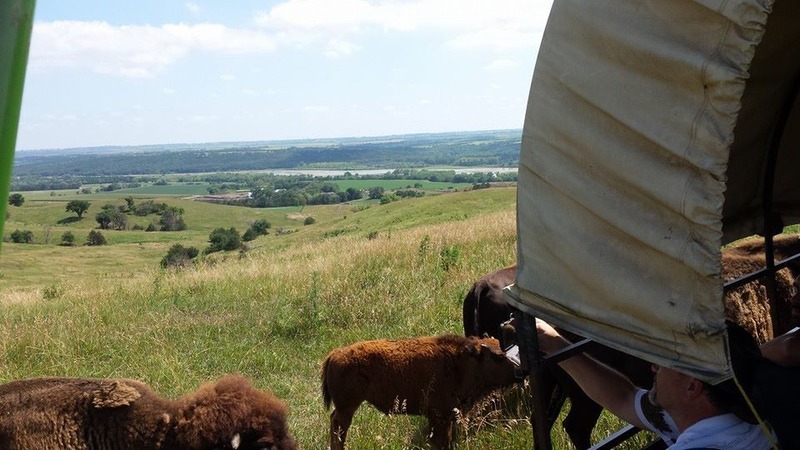 Herd bull, in velvet stage, sneaking an ear of corn from the covered wagon. 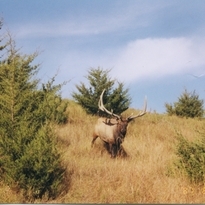 Kirby, a previous herd bull elk strutting down the grassy hill. 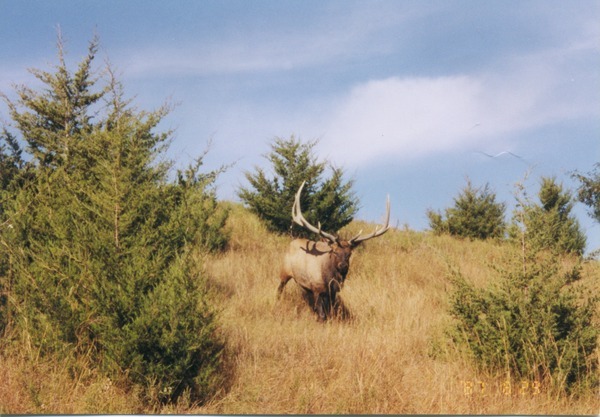 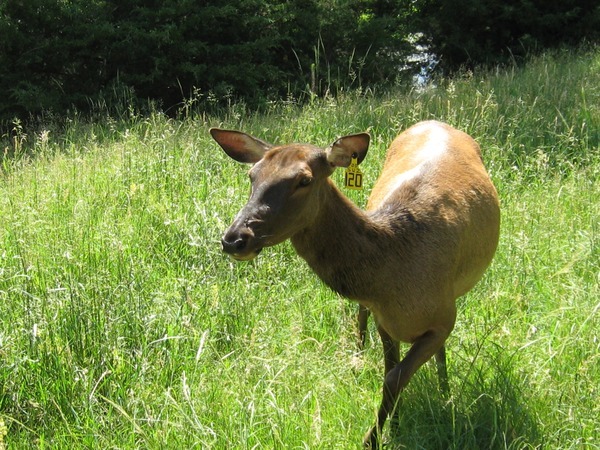 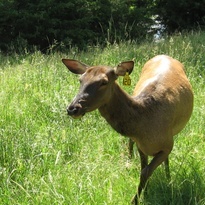 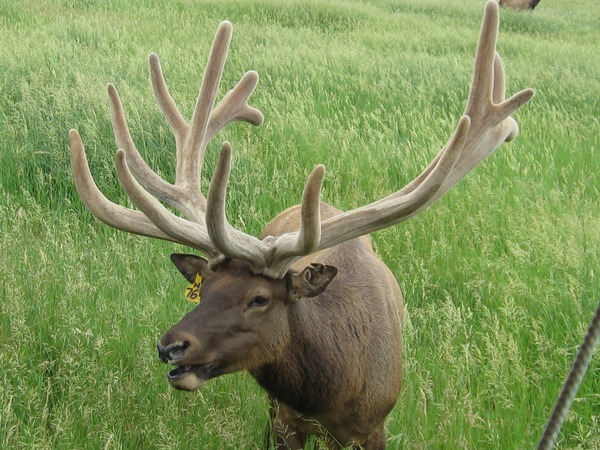 Kirby, a previous herd bull posing for a picture in the cow elk pasture. 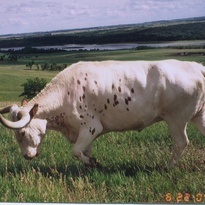 Montana Sky, a previous herd bull with his harem of cows. 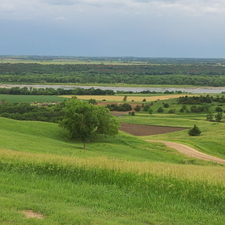 Overview from top of the hill overlooking the Niobrara River Valley and Kreycik River view home place. 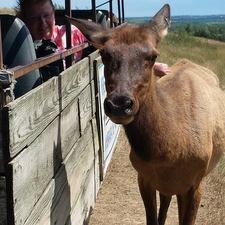 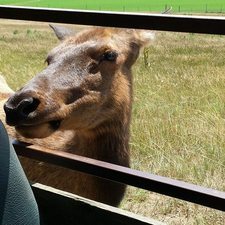 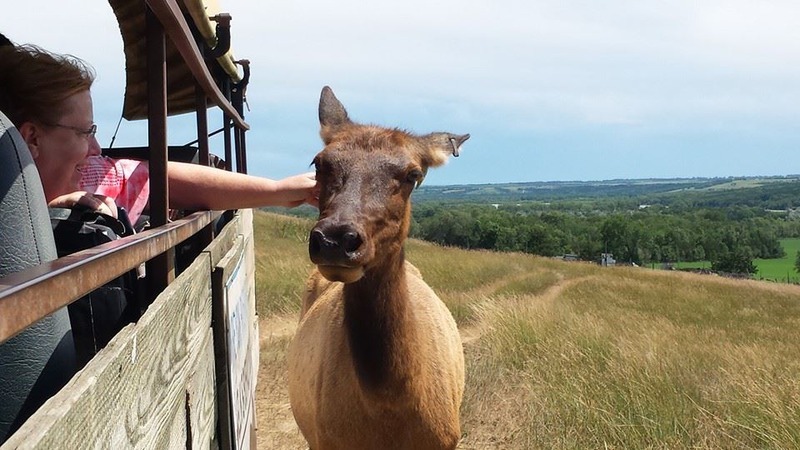 Pet cow elk named Suzie. 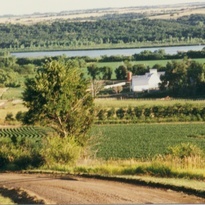 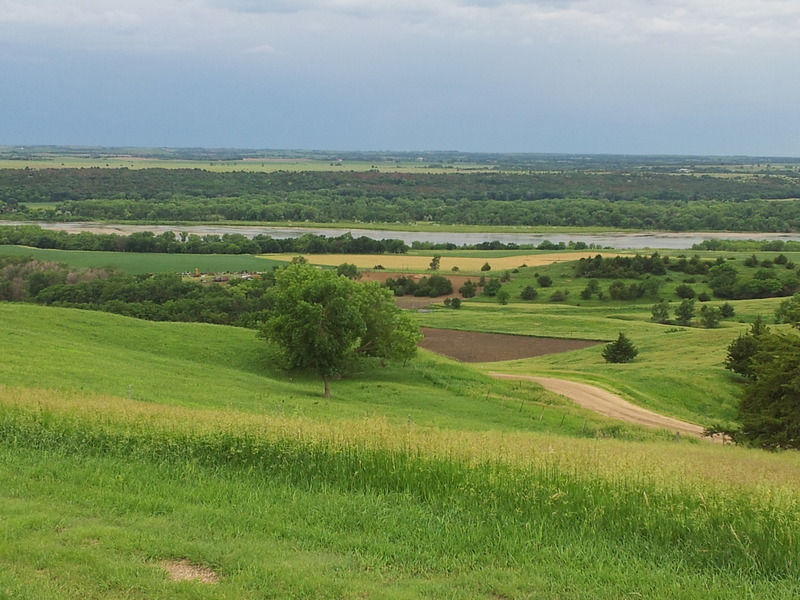 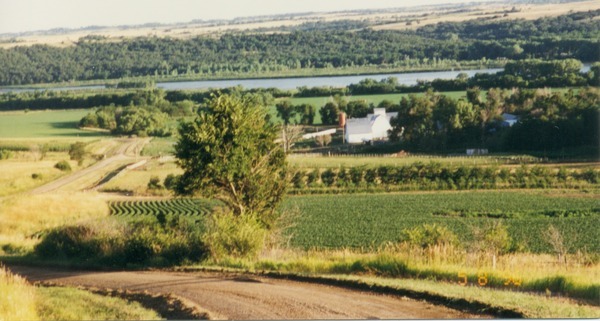 Scenic view of the Kreycik home site down in the Niobrara River Valley. 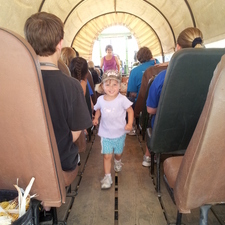 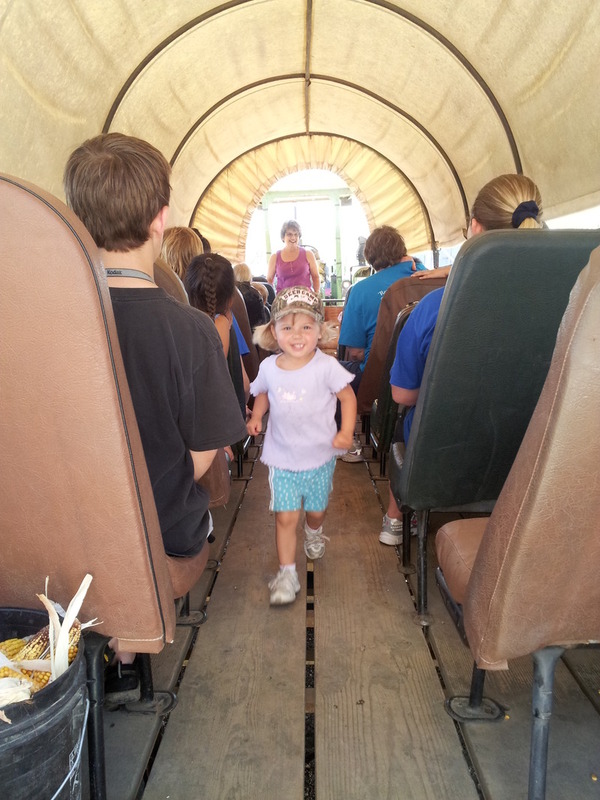 Suzie greeting tourists in the covered wagon. 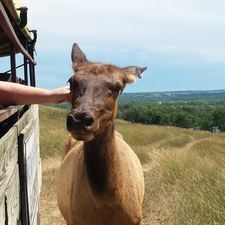 Suzie loves her ears scratched. 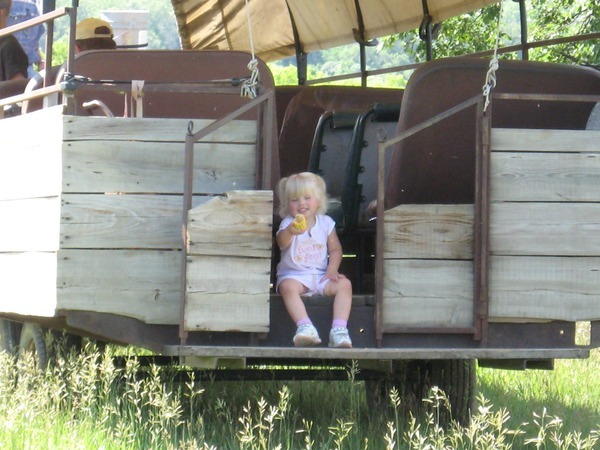 Suzie loves the wagon and people paying attention to her. 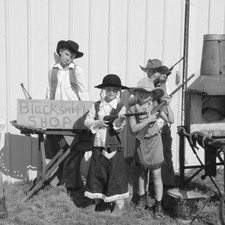 The kids dressed as Annie Oakley's siblings for our special tour in July. 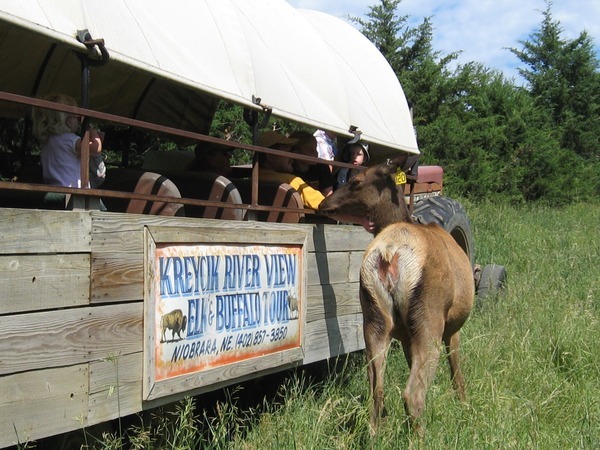 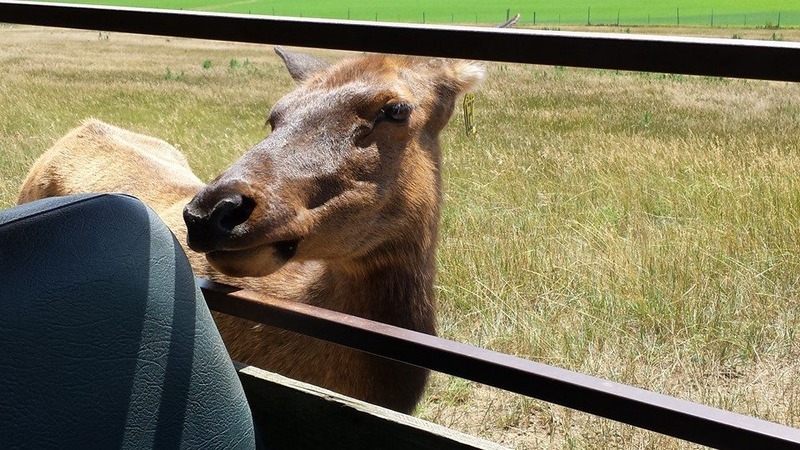 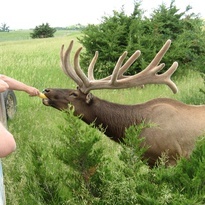 The late Kenard Kreycik proudly sharing with tourists all about his elk and buffalo. 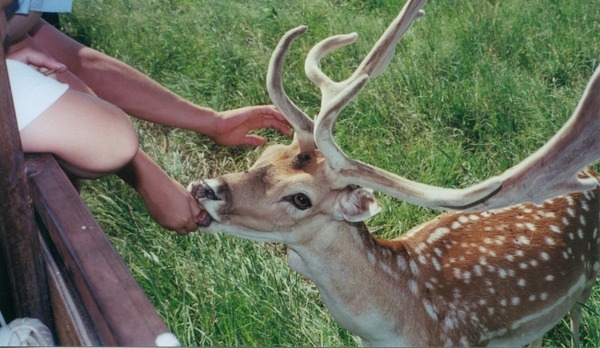 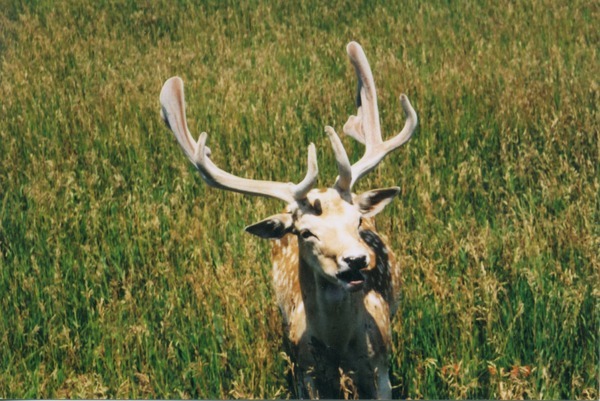 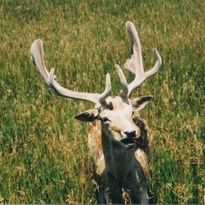 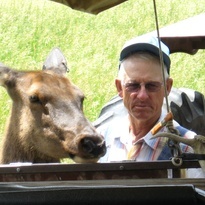 The late Kenard Kreycik showing off his pet cow elk, Suzie, whom he bottle fed. 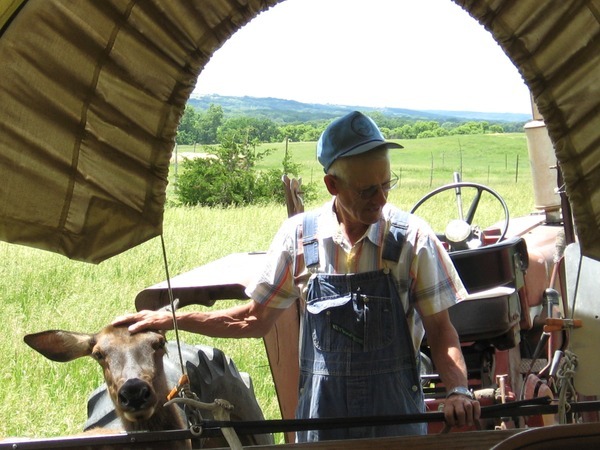 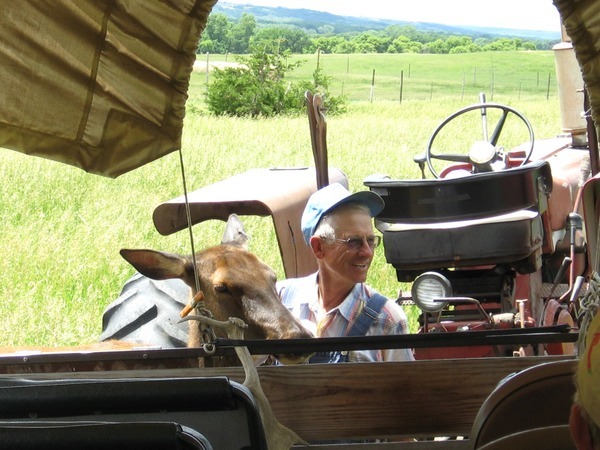 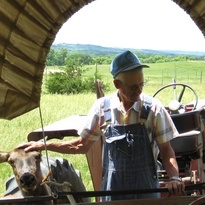 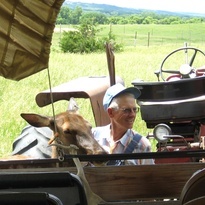 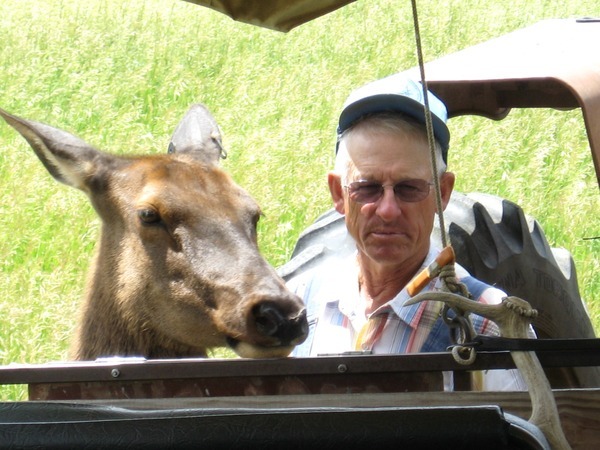 The late Kenard Kreycik with his pet cow elk, Suzie. 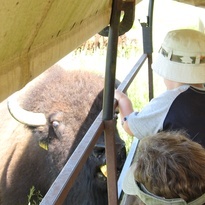 Tourist feeding buffalo cow from side of covered wagon. 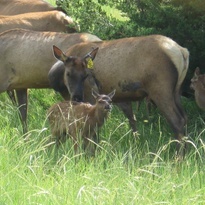 Young bull elk cautiously fighting, making sure not to damage their velvet antlers.